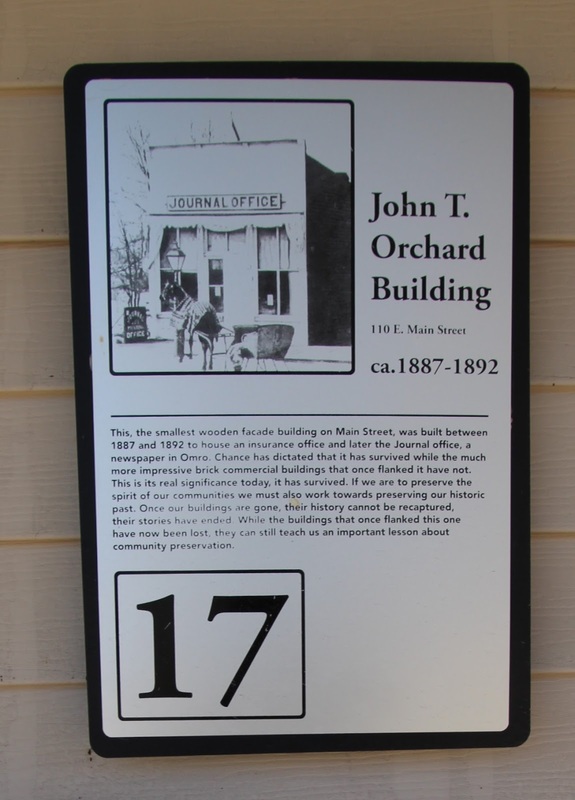 This, the smallest wooden facade building on Main Street, was built between 1887 and 1892 to house an insurance office and later the Journal [sic] office, a newspaper in Omro. Chance has dictated that it has survived while the much more impressive brick commercial buildings that once flanked it have not. 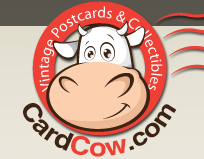 This is its real significance today, [sic] it has survived. If we are to preserve the spirit of our communities we must also work towards preserving our historic past. Once our buildings are gone, their history cannot be recaptured, their stories have ended. While the buildings that once flanked this one have now been lost, they can still teach us an important lesson about community preservation. 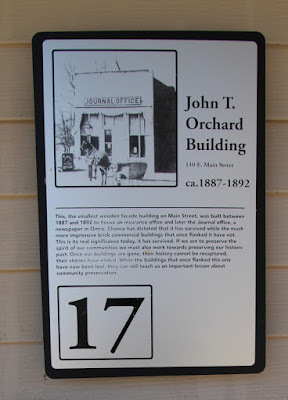 The John T. Orchard Building is accessible from eastbound East Main Street, east of its intersection with South Webster Avenue, at or near 110 East Main Street, Omro, Wisconsin 54963. Looking west along East Main Street. 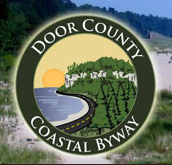 The building and marker are located in Omro, Wisconsin.